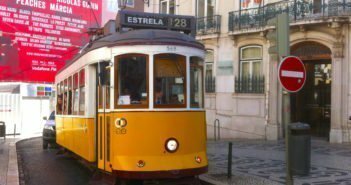 As the Portuguese capital, Lisbon has several train and bus stations to get to all destinations outside the city easily. Besides hiring a car, the possibilities for onwards travel are by train or long-distance bus (coach). 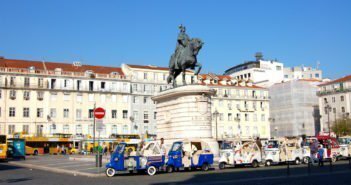 For a day trip to Sintra or Cascais, or longer distance trips to Porto, the Algarve, or the rest of the country, here’s everything you need to know about Lisbon transport hubs. 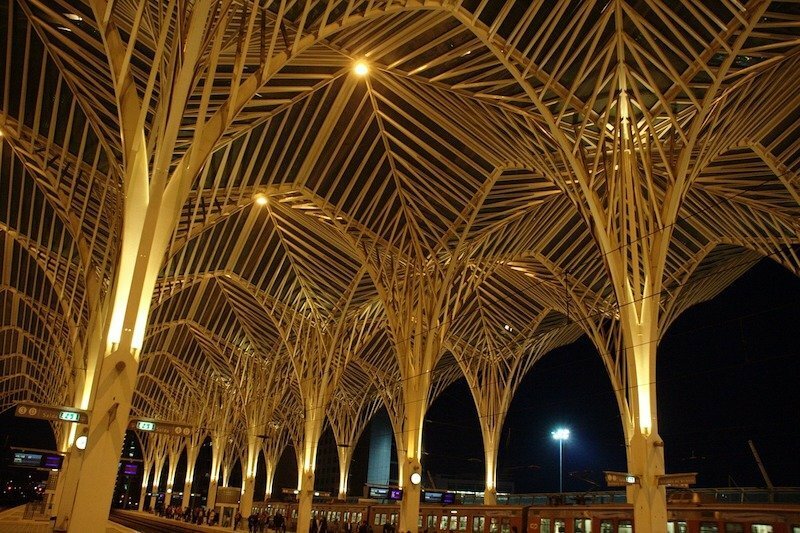 Located in Parque das Nações (Oriente metro station on red line), Gare do Oriente is Lisbon’s hub for train services. It’s actually a multi-level platform that includes a departure point for long-distance bus (coach) companies, and a metro station. Housed in a structure designed by the Spanish architect Santiago Calatrava, Gare do Oriente was one of the Expo 98 architectural masterpieces. Gare do Oriente serves as a high-speed, commuter and regional train hub with national and international connections. CP is the national train operator that runs train services. 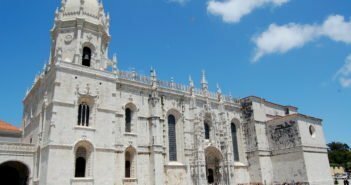 You can get to Porto or the Algarve on the fast Alfa Pendular train, as well as to other Portuguese cities using the Intercities and Regional train services. 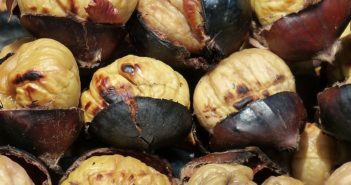 Oriente is also a bus station – long-distance buses to several Portuguese cities (Rede Expressos / Renex company) and to Spain and France (Avanza and Eurolines operators) also depart from here. 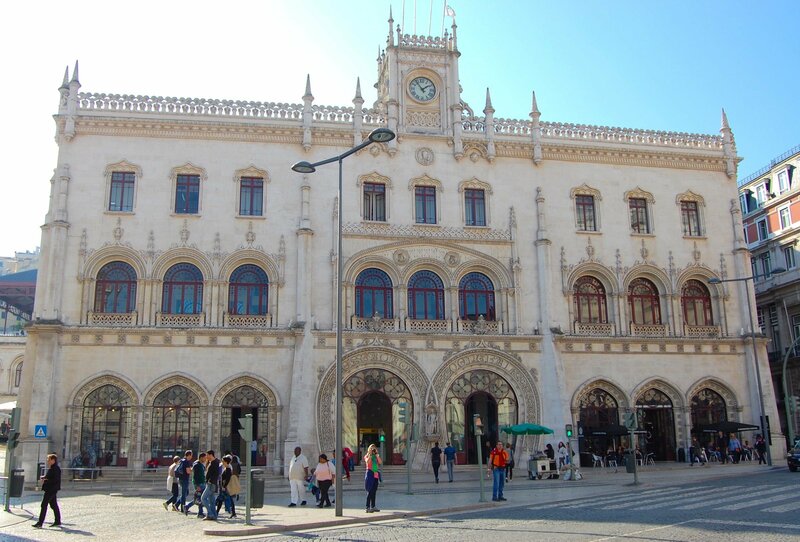 Centrally located near the Alfama neighbourhood, Santa Apolónia is Lisbon’s historic train station. 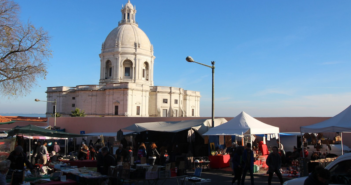 It’s still in operation and some trains go through and stop at both Gare do Oriente and Santa Apolónia, so keep that in mind when booking your ticket. 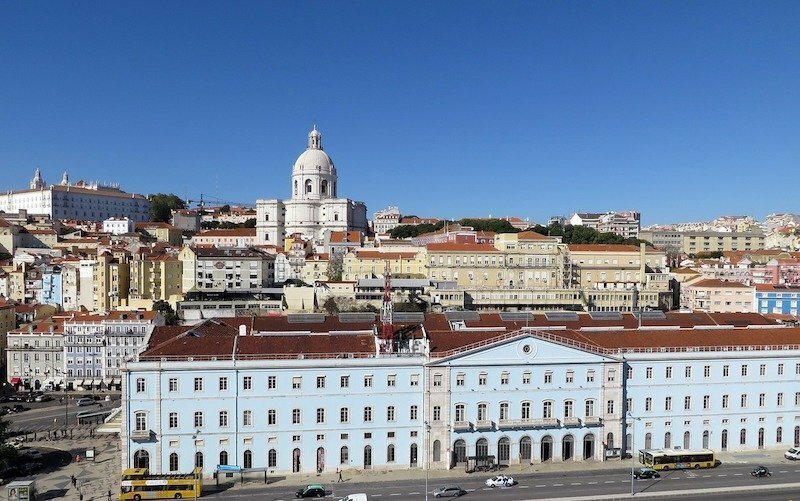 The Rossio train station is conveniently located in the Baixa between Praça do Rossio and Praça dos Restauradores. Trains to visit the beautiful village of Sintra depart every 15 minutes. 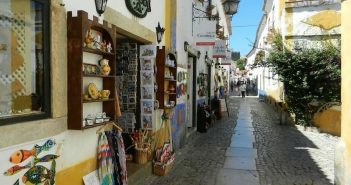 You can use your Viva Viagem card to pay for the journey to Sintra. The Cais do Sodré is also a major hub, with bus, metro (blue line), train and ferry services. 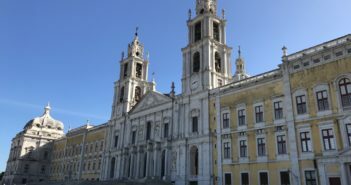 From here you can go by train to Estoril and Cascais, and by ferry to Cacilhas across the River Tejo to visit Cristo Rei – Lisbon’s Statue of Christ. Pay the journey with your Viva Viagem card. Sete Rios bus station is located near the train station (Jardim Zoológico metro station on blue line). The Rede Expressos / Renex coach company operates long-distance national travel and international travel. 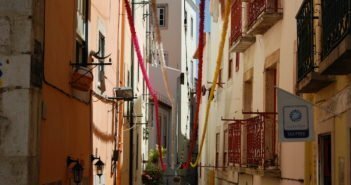 From Sete Rios, you can get to Mafra and Ericeira, Nazaré and Peniche. From Sete Rios train station, you can take the train to Setúbal operated by Fertagus.